Former center known for his defensive skills; served as captain of the Calgary Flames. He went to high school at Northwood School in Lake Placid, New York. 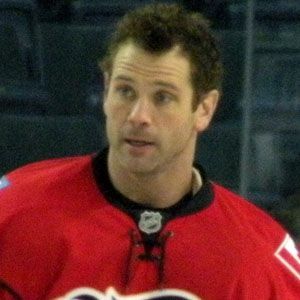 The Montreal Canadiens selected him in the sixth round of the 1990 NHL Draft. He married Jessie Conroy in 1996. St. Louis Blues head coach Joel Quenneville helped develop his defensive and faceoff skills.